John is a Director of PIDG Ltd., Vice Chair Asia for PIDG, and Chair of the Board of Directors of InfraCo Asia. John is the Chairman of Macquarie Capital Asia and the Chairman of Macquarie Group of Companies, Republic of Korea. In 2015 he was appointed as the Chairman of Macquarie Project Services for Middle East and Asia. 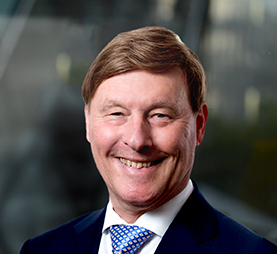 John has also worked with the Australian government to deliver several large private infrastructure project and became a Member of the Order of Australia in 1999 for services to economic reform and the design of the transportation plan for the 2000 Sydney Olympics. He has also received a Presidential citation in the Republic of Korea for his contribution to the development of South Korean capital markets.